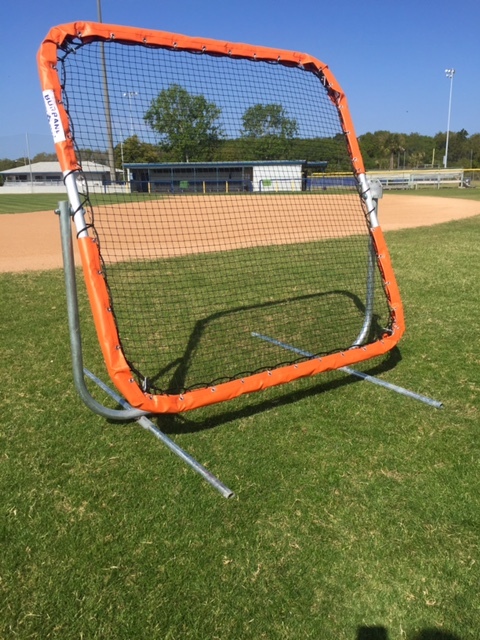 The Burbank 6’x6′ or 8’x8′ wall ball screen comes standard with 4 locking pin positions to allow screen to be angled for all types of drills. Our Burbank Wall Ball Screen comes in two sizes: 6’x6′ and 8’x8′. Mississippi State head baseball coach John Cohen has utilized the Burbank Sport Nets WALL BALL Pitch back screen and created an excellent instructional DVD with numerous drills and uses for the WALL BALL Screen. There are drills for every player on the field. From outfielders working on drop back pop flies to pitchers working on simulated bunts, the wall ball pitch back screen can do it all! All Burbank frames are made here in the USA at our facility by an experienced welder.